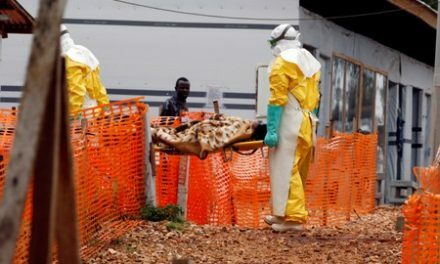 LONDON (Reuters) – – In the life-and-death race to make the first effective vaccine against Ebola, one company – Merck – seems bound to win. But others drugmakers, such as Johnson & Johnson and GlaxoSmithKline, are also in the running – and must stick with it even though they are unlikely to make a profit, experts say, because the world needs more than one Ebola vaccine. Immunizations with Merck’s VSV EBOV experimental shot began in Congo this week – a big moment in a 40-year fight against a disease that until now could only be tackled by isolation and strict hygiene. Having this vaccine means the world is better placed now than it was in 2014-2016, when the hemorrhagic fever killed more than 11,300 people in history’s worst Ebola outbreak in West Africa. Still, relying on one potential vaccine from one company does not make sense, either in terms of ensuring resilient supply or the best protection against the virus, says Jeremy Farrar, director of the Wellcome Trust global health charity. “It’s critical that we encourage companies to keep working on this,” he told Reuters. “Firstly, it may be that two vaccines may have very different characteristics. Ebola is a fearsome disease but it is also still rare, making the potential market for an emergency vaccine highly sporadic and very likely unprofitable. This poses a dilemma for drug companies: With no real prospect of a financial return, can they justify the investment, even when they get support from government agencies and charities. 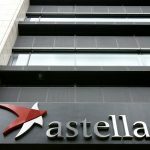 GSK’s put its Ebola vaccine work on hold after it was unable to progress its product through clinical trials towards the end of the 2014-16 epidemic, due to the dwindling number of Ebola cases. A spokesman said it is monitoring the situation. J&J is pushing ahead. Since the big West African outbreak, the company has gone on to test its vaccine on 5,000 volunteers in 11 separate trials, confirming its safety and ability to generate an immune response. “We are not doing this for a commercial purpose,” said Paul Stoffels, J&J’s Chief Scientific Officer told Reuters in an interview. “If you have technology that can help fight the most deadly virus in the world, then you can’t stand back and not do this. J&J’s two-part vaccine – being developed with Danish biotech Bavarian Nordic – works differently to Merck’s and its protection, if confirmed, is expected to be longer lasting. Merck’s shot is well suited for “ring vaccination” of people in recent contact with new Ebola cases, but a long-lasting option would be a good bet for healthy support workers coming in to fight the crisis. “Certainly from what we know about the J&J vaccine, it could have a very complementary use,” said Peter Salama, the World Health Organization’s deputy director-general for emergency preparedness and response. One problem remains the lengthy, complex and expensive process of getting new vaccines licensed by Western regulators, like the U.S. Food and Drug Administration (FDA). Merck – whose vaccine was originally developed by the Public Health Agency of Canada and then handed to NewLink Genetics, before Merck took it on in 2014 – does not expect to be ready to seek an FDA marketing authorization license for VSV EBOV until 2019. This is in part due to “unforeseen facility and engineering issues” at a manufacturing plant being built in Germany, Merck’s spokeswoman Pamela Eisele said. The company could get a pay-off when the vaccine is finally licensed, in the form of an FDA priority review voucher, which can be used with another product of its choice or sold on. The FDA issues such vouchers for innovative drugs or vaccines tackling neglected or rare diseases, including Ebola, and past examples have been sold for up to $350 million. 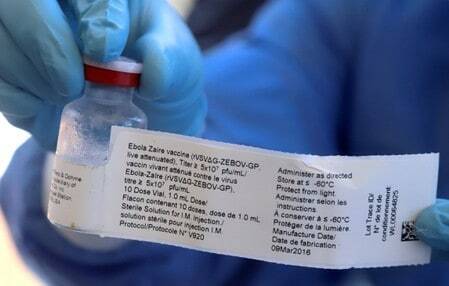 The only licensed Ebola vaccines come from separate groups in Russia and China. Their products have been approved by local regulators only on the basis of limited clinical data. An FDA license is widely regarded as the definitive stamp of approval. Large drug companies remain the only realistic vehicles for manufacturing vaccines at scale and the problem of incentivizing them to work on non-profitable diseases in poor countries stretches beyond Ebola. “In any vaccine market, at some point the manufacturers assess whether its a viable market to continue, and they may stop,” Salama told Reuters. Sanofi, for example, dropped development of a Zika vaccine last year, despite promising early clinical results, following a row over future pricing of the product, which was originally developed by U.S. Army researchers. Such hesitancy by drug companies is going to need to be overcome, experts say, especially since a crowded world can expect an increasing number of deadly encounters with microbes. In the past 60 years, the number of new infectious diseases affecting humans has increased fourfold and the number of outbreaks per year has more than tripled, according to report from the International Vaccines Task Force. Only this week India has been hit by the brain-damaging Nipah virus, killing 10 people, while Nigeria had its worst Lassa fever outbreak on record earlier this year. There are currently no vaccines for either of these, but both are on a WHO research and development priority list alongside Ebola, Zika, MERS and Crimean-Congo hemorrhagic fever.